The conceptual uncertainty when dealing with processes of integration and disintegration in Europe is striking because traditional notions of the nation-state, constitutionalism, sovereignty, and federalism do not account for emerging realities in either Western or Eastern Europe. 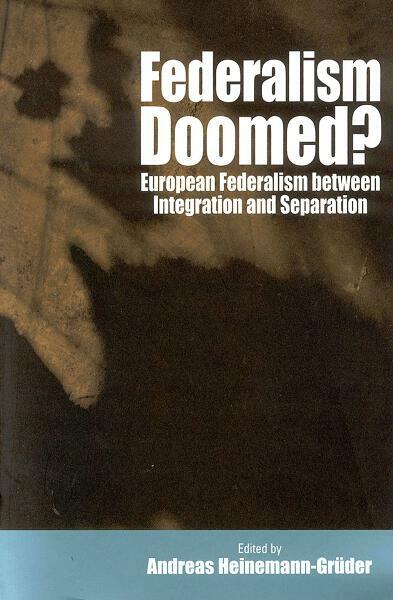 This volume explores the complex inter-relationship between federal arrangements and their effects on integrating multi-ethnic societies in Europe, and takes stock of current debates on the effects of federalism on integration and disintegration in Eastern and Western Europe. For the first time federalism is addressed in a pan-European context and an attempt is made to look for remedies to overcome nationalism in both East and West within a federalist institutional framework. Andreas Heinemann-Grüder is currently Senior Researcher at the Bonn International Center for Conversion and is Adjunct Professor for Political Science at the Humboldt University. Chapter 3. The European Union: Is It a Supranational State in the Making? Chapter 4. The European Union and the Democratic Deficit: The Emergence of an International Rechtsstaat?